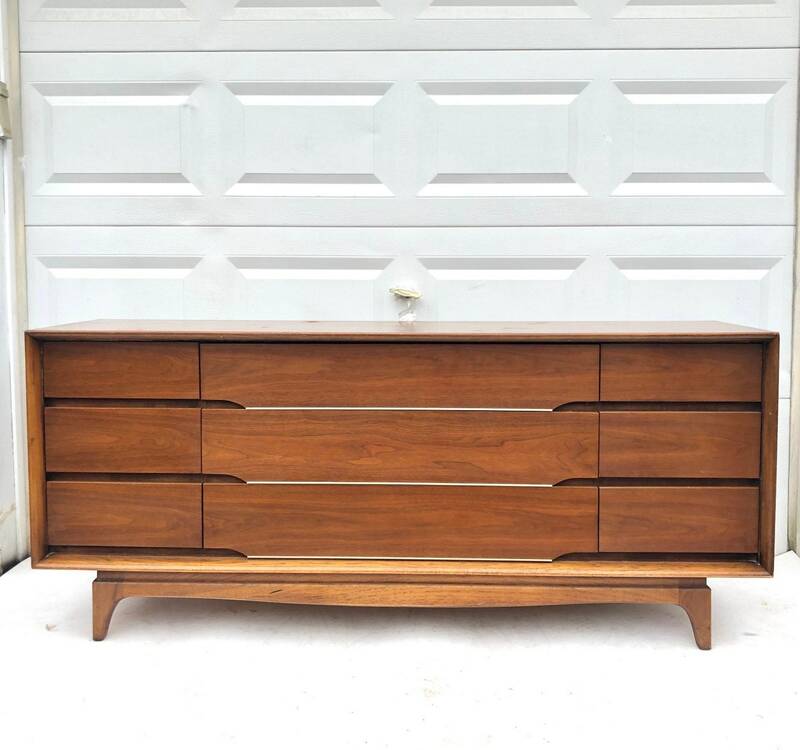 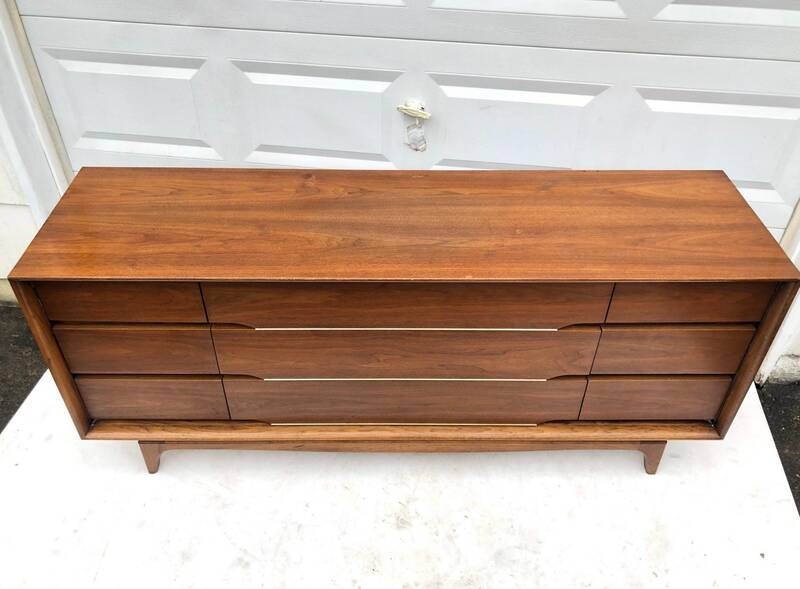 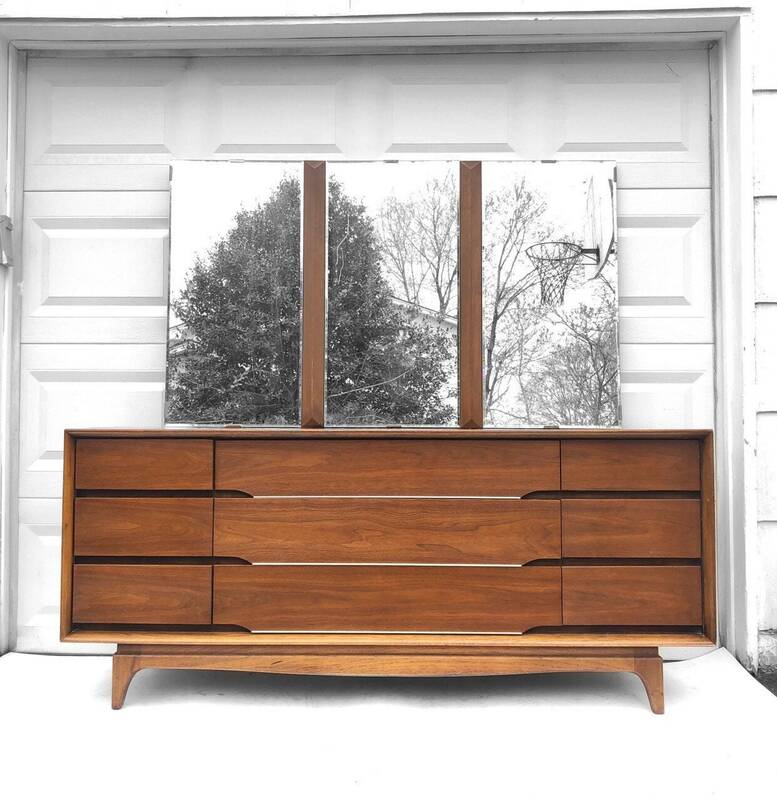 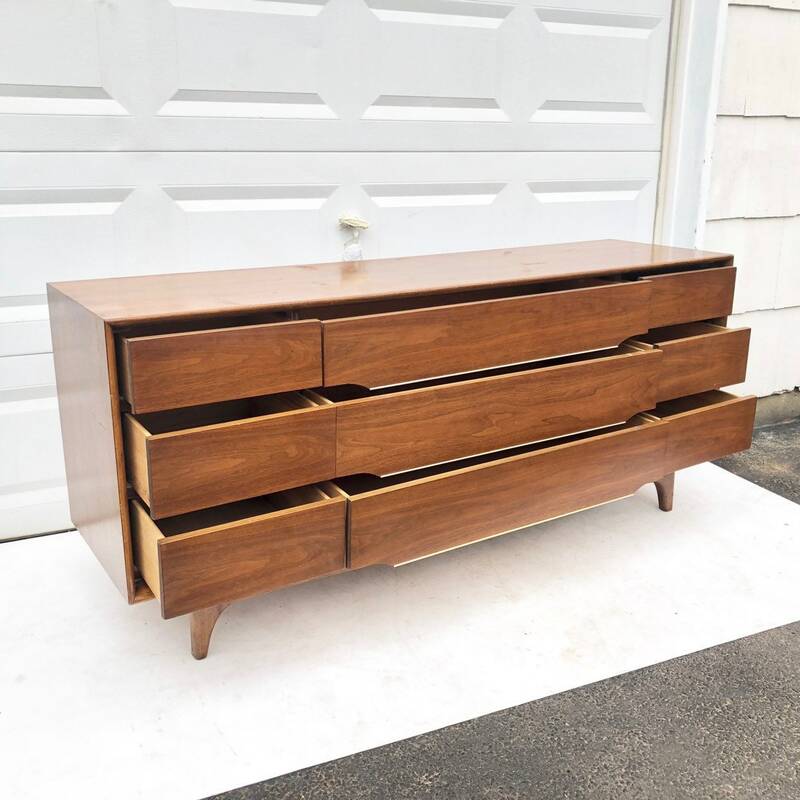 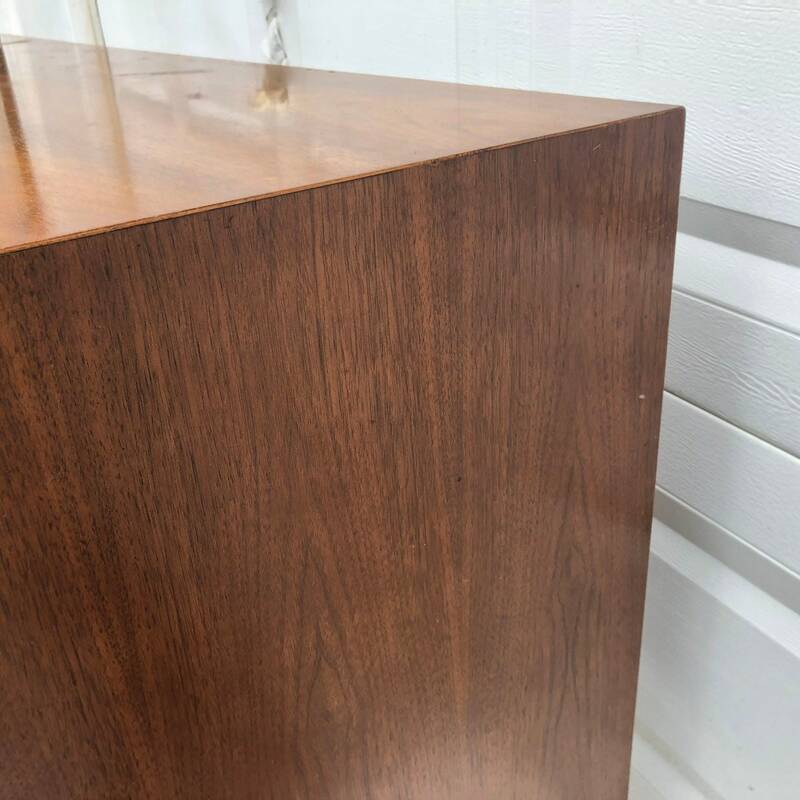 This stylish nine drawer bedroom dresser by Kent Coffey features rich walnut finish, unique brass trim details, and quality mid-century modern construction. 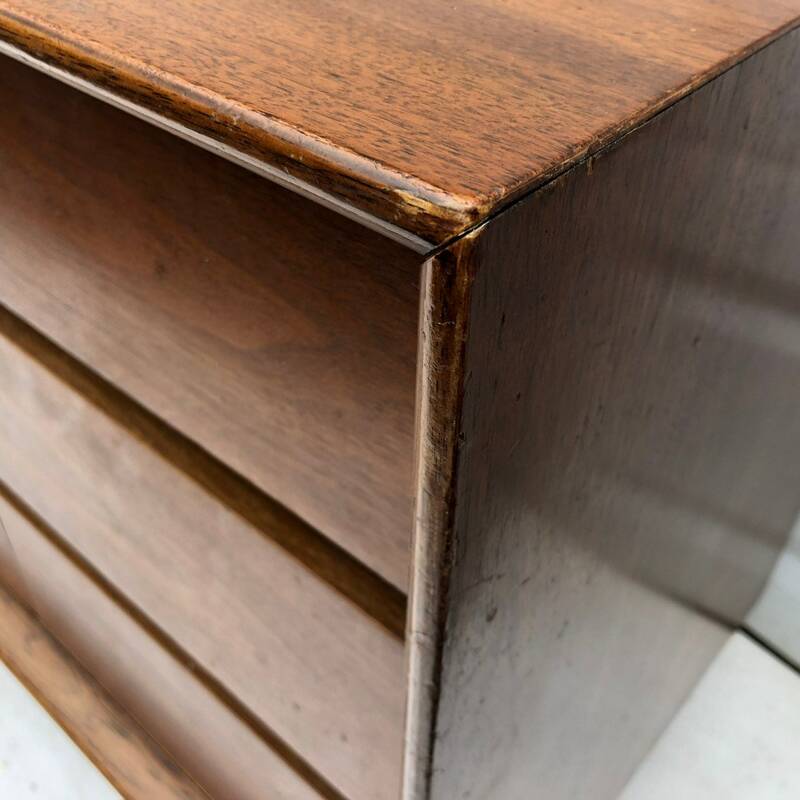 Dove tail drawers, tapered legs, and plenty of storage make this the perfect addition to bedroom storage or any interior. 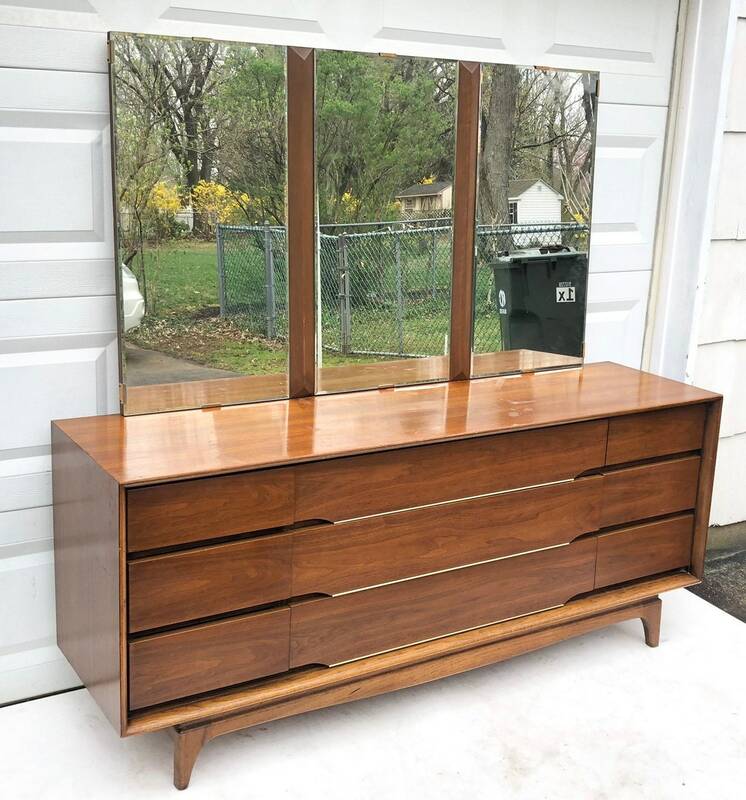 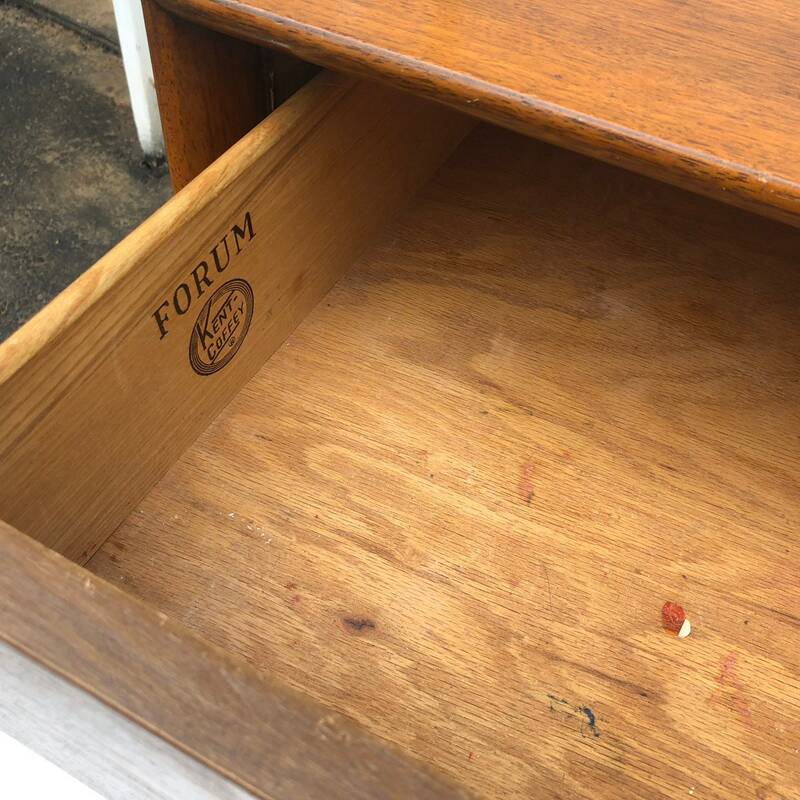 Matched with three panel mirror, this Kent Coffey Forum dresser has a matching pair of nightstands and highboy dresser also available. 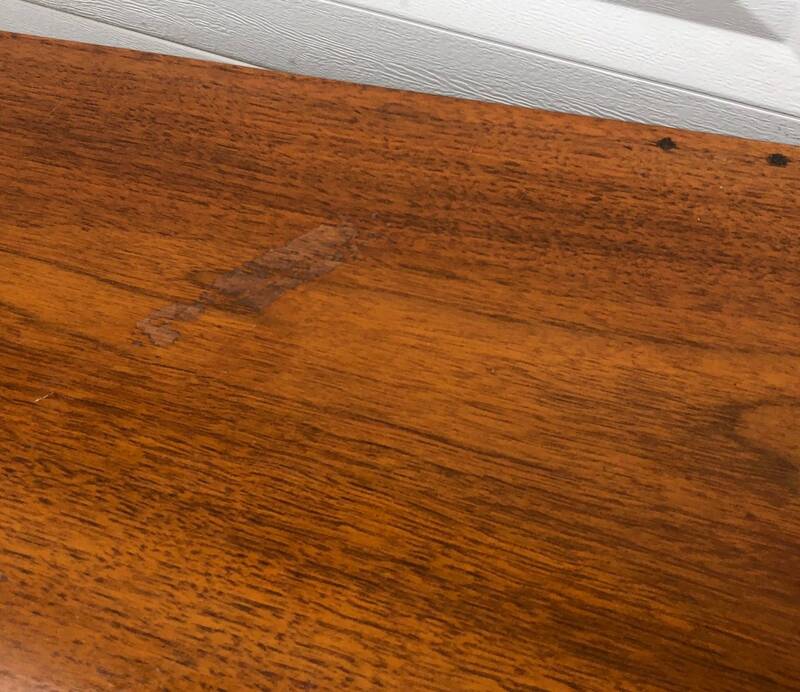 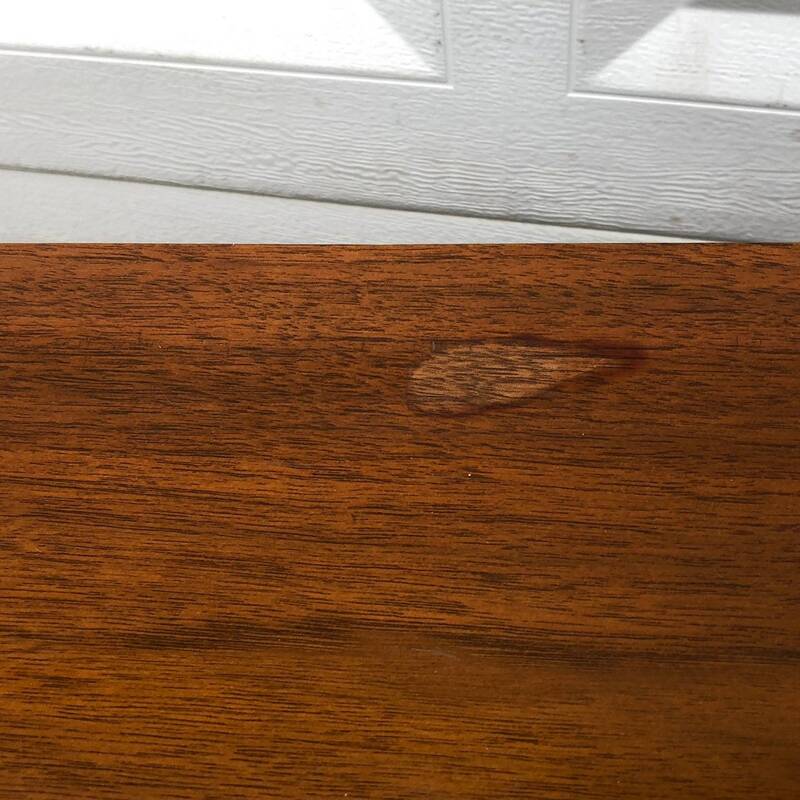 Condition: age appropriate wear, vintage finish worn in areas, some scuffs/scratches, finish stains, interior marks, edge wear- see photos.